"The problem is not that nobody has Kinect, but it's that nobody is talking about it anymore." That's Mattia Traverso, the creator of Kinect-exclusive game Fru. Traverso has a unique perspective on the Kinect marketplace because he's one of the last video-game developers to build an experience specifically for Microsoft's motion-sensing peripheral. Not that the Kinect is officially dead. However, Kinect is clearly not a priority for Microsoft. In 2016, the Xbox One's Kinect 2 received just two notable games from third-party studios, Fru and Just Dance 2017. Microsoft hasn't released a motion-sensing game itself since 2014, the same year the company announced it would start selling the Xbox One without the Kinect bundled in the box. Support for the peripheral has disappeared over the past three years, and with it, so has public attention. Once upon a time, Kinect was the hot new accessory in the console-gaming space, a fact that naturally drove people to read about and buy Kinect games. A similar trend is happening now with virtual reality, Traverso says -- but Kinect games just don't generate the same amount of buzz anymore. "Very few people are really talking much about Kinect games nowadays," he says. "Microsoft isn't pushing the peripheral, and the general press has moved on. ... Even though every major site reviewed or talked about Fru, the articles weren't shared much or talked about on social networks because Kinect is not relevant." Traverso isn't surprised by this reality. He made a hard decision the day Microsoft unbundled the Kinect from the Xbox One in June 2014: He and his team at Through Games had been working on Fru for months and they weren't ready to give up on it yet. Microsoft had sold between 4 million and 5 million Kinect-ed Xbox One bundles before deciding to ditch the peripheral and lower the price, Traverso says. Even imagining a "disastrous" return rate of 50 percent, that still left Through Games with 2 million potential customers. The team decided to take a chance, and they kept working on Fru. 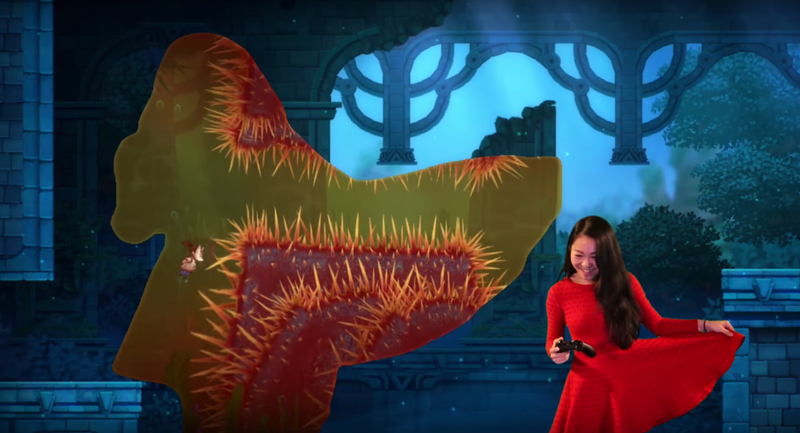 Fru is a wildly imaginative and innovative game that takes full advantage of the Kinect interface. 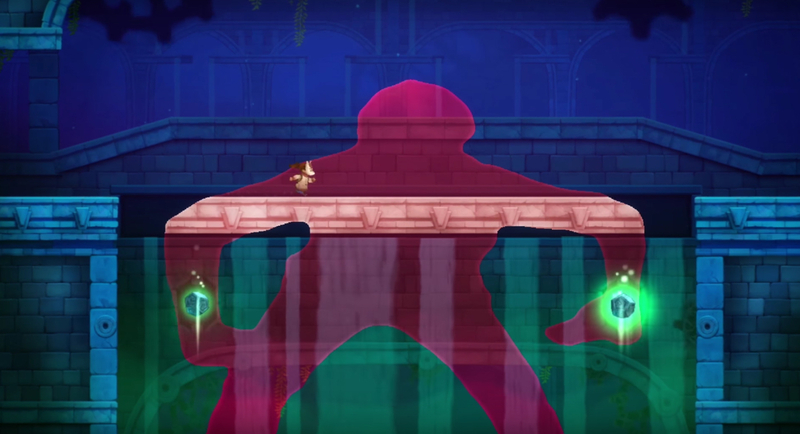 It's a platformer where players use their bodies to uncover hidden platforms and passageways, bending and contorting their limbs so the protagonist, a young girl in a fox mask, can move within their on-screen silhouettes. Fru is responsive, polished, fun and clever -- it's exactly the kind of game Microsoft might have hoped for when it opened up the Kinect to developers. Players and critics generally agree with this assessment, leaving Fru with a score of 84 on Metacritic. That doesn't mean the game was popular, however. "All considering, sales have been all right," Traverso says. "We definitely sold more than the average indie game without a marketing budget, but certainly not enough to fund another game, which is unfortunate. Not that we were expecting to become Scrooge McDuck given the stagnant Kinect market, but we were hoping for a bit more than that." Traverso doesn't blame Microsoft for ditching the Kinect. He knows it was a savvy business decision -- Microsoft needed to make the Xbox One more competitive with the PlayStation 4, and removing the Kinect allowed the company to knock $100 off of the console's price. Besides, Microsoft supported Through Games' decision to build a Kinect experience, even after the big unbundling. Chris Charla, the head of Microsoft's indie-outreach program, ID@Xbox, was a big fan of Fru, and he personally helped Traverso and his team finish the game. "We first saw Fru when it was getting buzz as a game-jam game, and we were immediately excited about the idea," Charla says. "We've always focused on ensuring developers have the freedom to choose any Xbox technology they want to use to implement in their games in ways that best enhance the gameplay experience they're trying to achieve. Fru is a perfect example of that." Still, behind-the-scenes support didn't translate into explosive -- or even sustainable -- sales for Fru. And today, the ecosystem for Kinect games is nearly nonexistent. Traverso says he knows of just two other studios focusing on Kinect, Brazil's HTW Games and Finland's Virtual Air Guitar. "I don't think it's possible to be successful when the company owning your market is trying to close it down," Traverso says. "To be clear, I don't think Microsoft is to be criticized for this decision: Removing the Kinect was a wise business move to get Xbox One to grow, and even though it could have been communicated better, it was a great choice in the long run." Traverso takes full responsibility for deciding to work on a Kinect game after Microsoft announced the unbundling. The writing was on the wall for the Kinect, but Through Games was married to the idea of Fru and wanted to see it to the end. "We felt we had a great game in our hands, and it'd have been a shame not to release it," Traverso says. "It's actually not uncommon for other devs to tell us that we should have just cut some features and released the game while Kinect was still relevant, but we were -- are? -- young and passionate students, and a perhaps a tad naive, so we chose to just make the best game we could." This is the same advice Traverso gives any burgeoning developer interested in Kinect today, though he offers a caveat: If you're building a Kinect game for fun, as a hobby, go for it. However, don't bank on a Kinect game to kickstart a stable career as a game developer. Traverso is satisfied with the lessons he learned while building Fru. 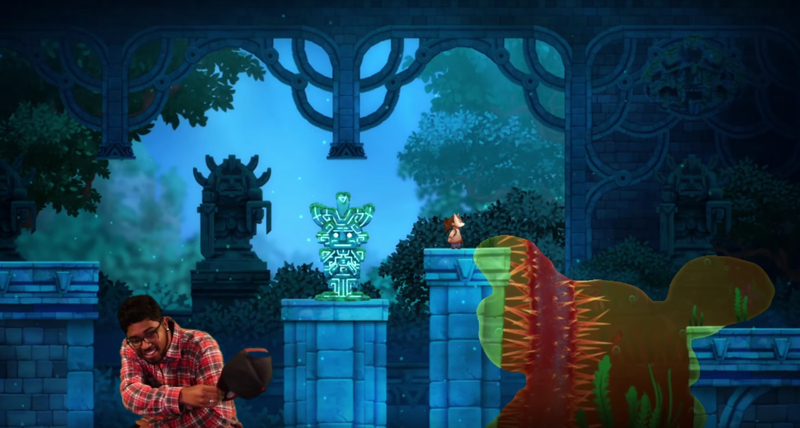 Working with Kinect provided priceless insight into the game-design process; he ended up asking himself questions that he might not have considered with a traditional title. Questions like, "How long does it take for the player to get tired?" or "What's the role of the player's fingers while they're playing the game?" "Some of these questions might seem Kinect-specific, but I assure you that the lesson you learn from them can be applied to any kind of game," Traverso says. "So, I say, experiment all you want, but make sure you can stay afloat."